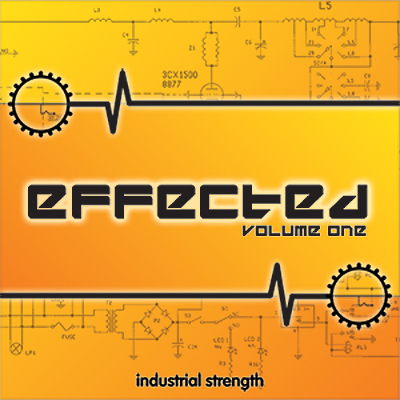 Effected is a handy pack to have in your collection of sounds. Producer David Flores returns with a flexible pack filled with upfront and twisted loops. This cool sample pack features unique effects that can be used License Free in any music production, film or video game score. Its a perfect addition to Dave's Drop sample pack. Effected contains long effects great for layering into break downs and the pack is loaded with wicked drum & various effect sounds to add punch & texture to any sound or track. If your looking for weird percussion loops or just long effected sounds to mash up and stretch out then Effected is for you. The drum samples are taken from real recorded drums and the pack also contains a large assortment of synthetic drums for any modern production. This pack also features loads of top loops in which can add rhythm to any backing track. The top loops are filtered, Eq'ed, dirty and pumped just enough so you can add your own samples to them to make these loops even more intense. Effected is also really great for Techno, Experimental, House Dubstep Trip Hop, Electro and Minimal, but there is no limit to what style these samples can be used with. We have included Logic ESX, Kontakt, Battery and one monster Maschine Kit for Native Instruments users. The kits are set up and ready for you to explore the sounds with no fuss. The pack also features REX.2 Apple Loops and Acid wav formats to make this pack as flexible as possible for you. The samples used in Effected are 24 bit 44.1 Khz. All the sounds in this pack are perfectly cut and contain loads of formats so you can use them creatively. If your looking for a very cool assortment of clean and dirty effect bits to layer over sounds, or use outright in your production then Industrial Strength's Effected just might be what your looking for.